Clay Aiken – He’s The Real Deal. The venue was filled with many of the leaders of the democratic party in North Carolina and many others who are ready for changes in Washington D.C. The following are some pictures and comments about the evening. 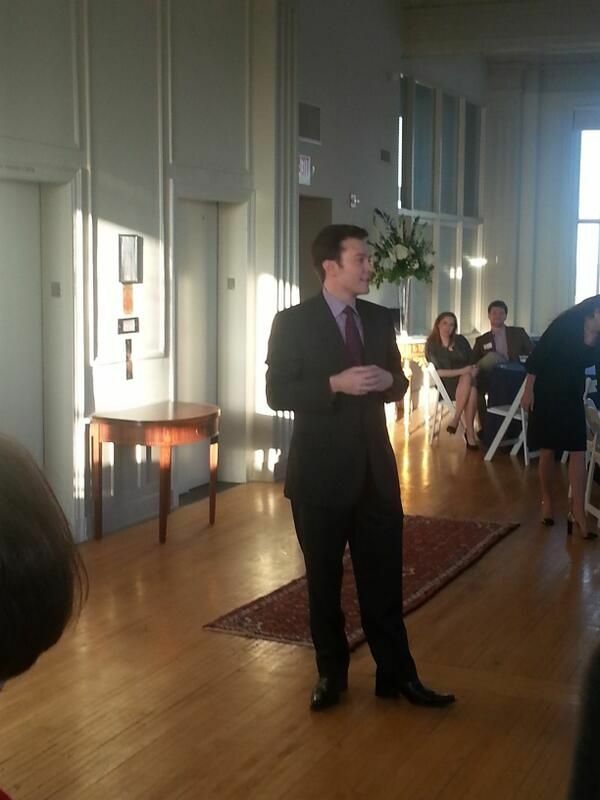 ‏@jennalyns 28s Love what I’m hearing from @ClayForNC. Just the kind of smart, local passion we need. catiekingmusic 3 hours ago · Capital Club 16 From camp counselor to congressional candidate, I’m so proud to have known Clay for so long and excited to watch what he’ll accomplish for NC. Congressional candidate Clay Aiken was in Harnett County today meeting with local people discussing our district and the problem that we’re facing. The event was held at the Campbell house located on the University campus. The crowd of 40 greeted and talked with Clay about what they want to see happen for the district. 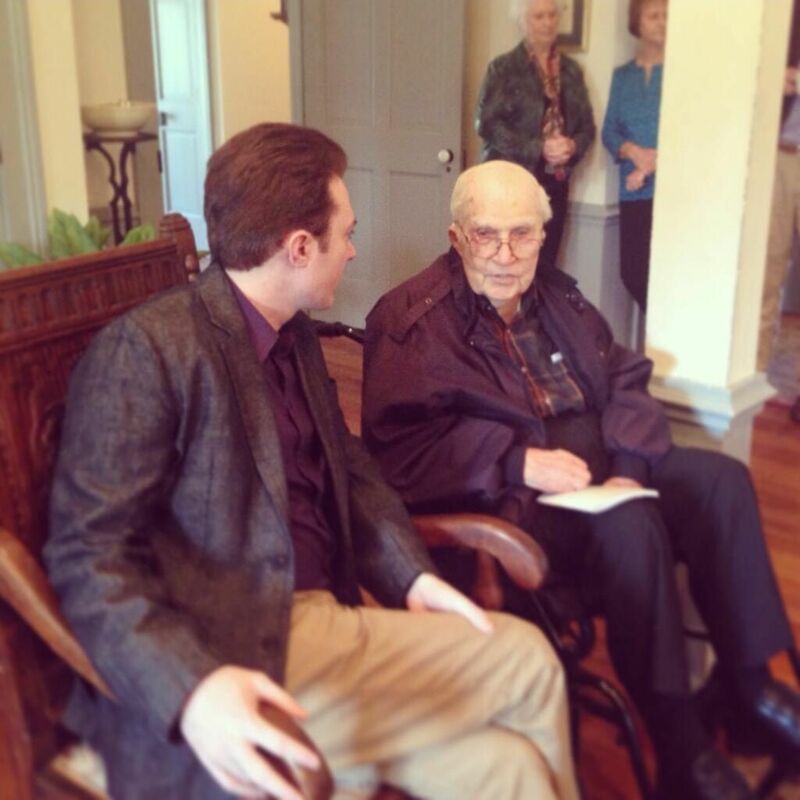 Paul Long hosted the event and introduced Clay to the guest. Clay told the crowd that the district needed representation that was available for the public to get in touch with and talk to. He said that although the 2nd congressional district was drawn to be a safe conservative district, history shows that democratic have done very well and referenced former Congressman Etheridge terms and wins as our congressman. He believes that in order to see a change in government, both parties must work together to reach a bipartisan solution. “I just had a feeling that we can all work together as a state, not just one party as opposed to another party, but all of us working together to solve the problems that come up in the state. We are always going to have problems and we need more statesmen and fewer politicians,” Blackmon said. It sounds like Dr. Blackmon and Clay have a lot of the same ideas. They did have a nice long chat! 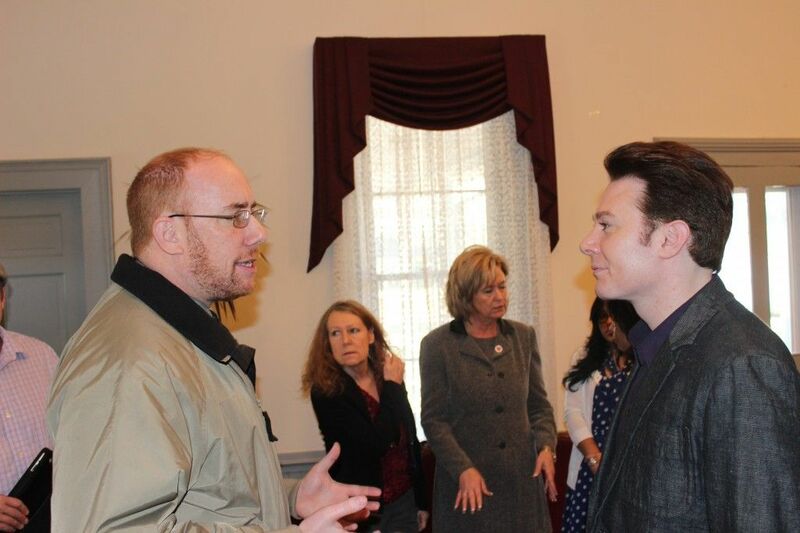 To everyone that attended the Clay Aiken event this morning in Harnett County I want thank each of you. We had a nice event and I know an AM is hard on working folks. Clay’s message is spot on and hopefully we can send him to represent all of us. 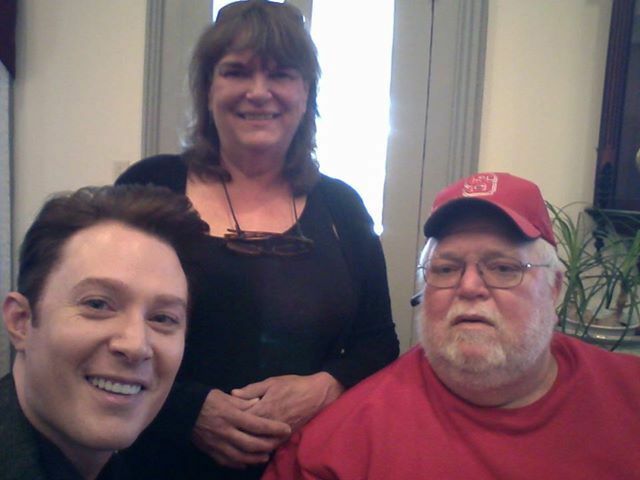 — at Meet Clay Aiken in Harnett County. 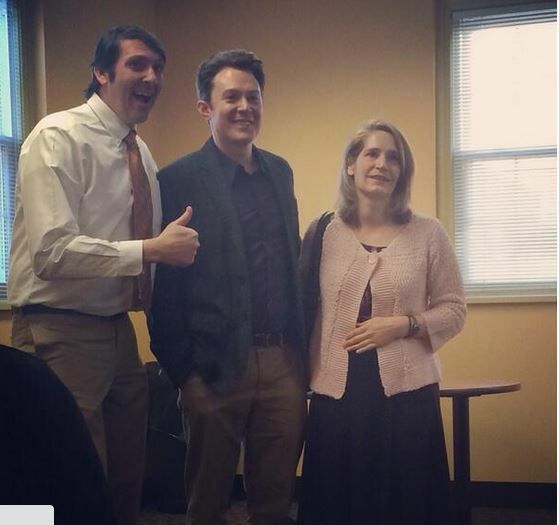 Thursday’s mid-day blog covered Clay’s visit and tour of Campbell University. However, there are a couple more fun pictures from the event. @SweetT_Emily 3m Ashley and I after our interview with Candidate for Congress Clay Aiken. 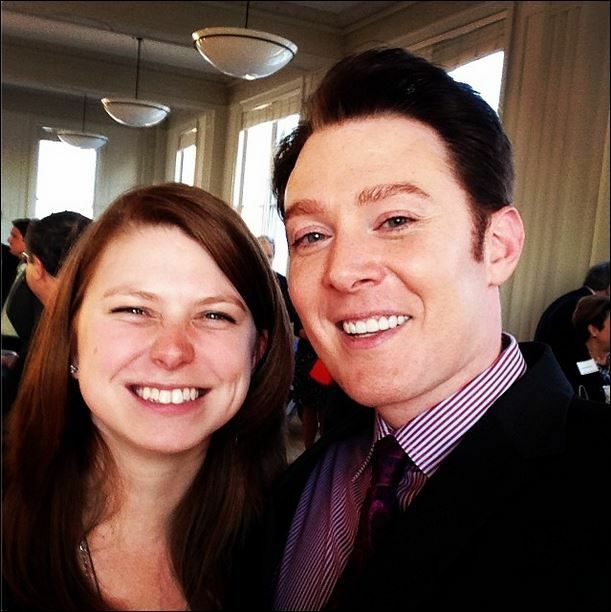 The North Carolina Democratic Club of Washington, D.C. is hosting a meet and greet with Clay Aiken, candidate for Congress in North Carolina’s 2nd Congressional District — and we want you to be there! The event will take place on Wednesday, March 26th at the Democratic National Committee Headquarters in the Wasserman Room on the 1st floor. The meet and greet will begin at 6:00pm and will run until 7:00pm. Feel free to stop by after work or your regular happy hour and meet one of North Carolina’s most dynamic congressional candidates this election cycle! Feel free to forward this invitation to friends, colleagues, and others who may be interested in attending. Do any of you live close to Washington D.C.? I wish I lived close by! So…three events in one day! I hope Clay Aiken got lots of rest. He has another busy day today!!! What was your favorite picture of the day? Tags : 2nd Congressional District in North Carolina., Campbell University, Clay Aiken, ClayForNC, D.C, Dr Bruce Blackmon, FaceBook, Gwyn Pearce, Harnett County, Historic Venues, Louis M Duke, North Carolina, Paul Long, The Grand Ballroom Historic Capital Club Building, The Harnett Dispatch, The North Carolina Democratic Club of Washington, Twitter, Washington D.C. The college students in North Carolina understand the challenges of acquiring a higher education. Just graduating and finding yourself with the immense debt of a student loan is overwhelming, not to mention securing a job in today‘s economy. These students are smart enough to have figured out our government has come to a screeching halt and zealous enough to do something about it. All they need is a voice, and there truly isn’t another individual who could fit the bill more honestly and efficiently than Clay. As for the photos, I like the pictures of Clay speaking with Dr. Blackmon because Clay is wise to pay attention to respected and experienced individuals who can shed light on many topics. 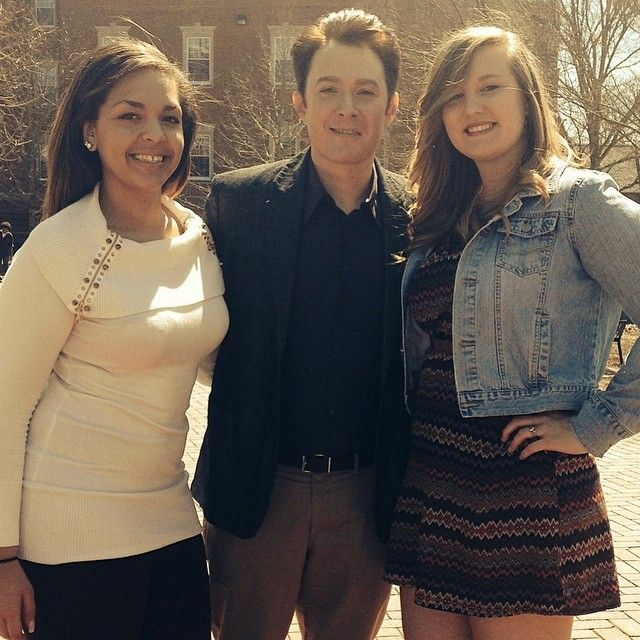 My second photo choice is Clay on campus posing with Emily and Ashley because he looks just as young as they do! Absolutely remarkable!!!! I love your post and couldn't have said it better!! I agree also Heartaiken, wonderfully said! Oh, I almost forgot one other observation regarding Clay’s photos in general. If you focus on his eyes when he is shown speaking seriously with someone, you will often notice great intensity as though he is studying every word, evaluating in depth the personality before him, and adding all he discovers to what I like to consider his “limitless mental data base”. To me, Clay seeks to discover the positives and worth in everyone he meets. I've noticed that too. Clay is really listening and his eyes are fixed on the person speaking. Love what you posted Heartaiken, Clay would be a great rep in Congress! Thanks Martha. 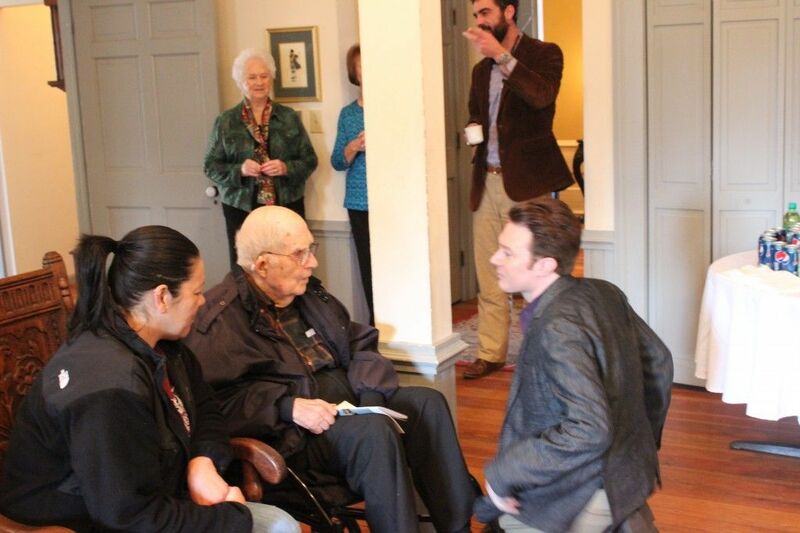 How touching of Clay to kneel at Dr. Blackmon’s feet to chat with him. The young lady seated next to Dr. Blackmon gave her seat to Clay so he could carry on the conversation. I hope that Clay is taking his vitamins and eating regularly to keep up the energy he needs on these busy days. Clay really is the real deal, he walks the talk and more. NC folks are super lucky! Excellent blog and I wholeheartedly agree with heartaiken. Music an thanks for keeping us so well informed. I can't add anything more to what has been said. The people of NC District 2 would be extremely fortunate to have Clay representing them. He will work for them. Great blog and love all the pictures that are coming in!!! Thanks Musicfan. Great job as always!! Error: Error validating access token: Session has expired on Tuesday, 21-Aug-18 16:13:01 PDT. The current time is Wednesday, 24-Apr-19 05:53:45 PDT.